How and why could a gene that stunts growth also shut down cancer and diabetes? USC biogerontologist Valter Longo and Ecuadorian endocrinologist Jaime Guevara-Aguirre are hoping to find the answer in a study of 30 individuals from Ecuador who visited Los Angeles. The researchers hope the results will lead medicine to pharmaceuticals or controlled diets achieving the same apparent protection from major diseases as Laron syndrome, the growth-stunting genetic mutation shared by 16 of the 30 visitors. “If it does offer these benefits, then we can look for ways to mimic the effect,” said Longo, who directs the Longevity Institute of the USC Davis School of Gerontology and has a joint appointment at the USC Dornsife College of Letters, Arts and Sciences. Laron syndrome prevents the body from using growth hormone but also appears to stunt a variety of life-threatening conditions. For example, despite some participants having lived a while with obesity, we see none of the health problems that typically accompany the disease. “For example, despite some participants having lived a while with obesity, we see none of the health problems that typically accompany the disease,” Guevara-Aguirre said. Guevara’s previous study with Longo, which made international headlines in 2011, found zero cases of diabetes and one non-fatal case of cancer over 22 years in a large group of individuals with Laron syndrome. Supported by a Zumberge Research and Innovation Fund grant from the USC Office of Research, Longo and Guevara now are testing whether Laron syndrome affects cardiovascular diseases and cognitive degeneration. Sixteen of the study’s participants have Laron Syndrome, while 14 of their close family members of normal stature agreed to participate in the tests as controls. By finding unaffected participants who have lived in the same region, eat the same diet, breathe the same air and share a family heritage, Longo and Guevara-Aguirre hope to isolate Laron’s as the cause behind any differences in disease protection between the two groups. Shuttling between the Andrus Gerontology Center, Dornsife Cognitive Neuroscience Imaging Center and the Atherosclerosis Research Unit at the Keck School of Medicine of USC, the visitors participated in several cardiovascular, cognitive and neuroimaging trials. 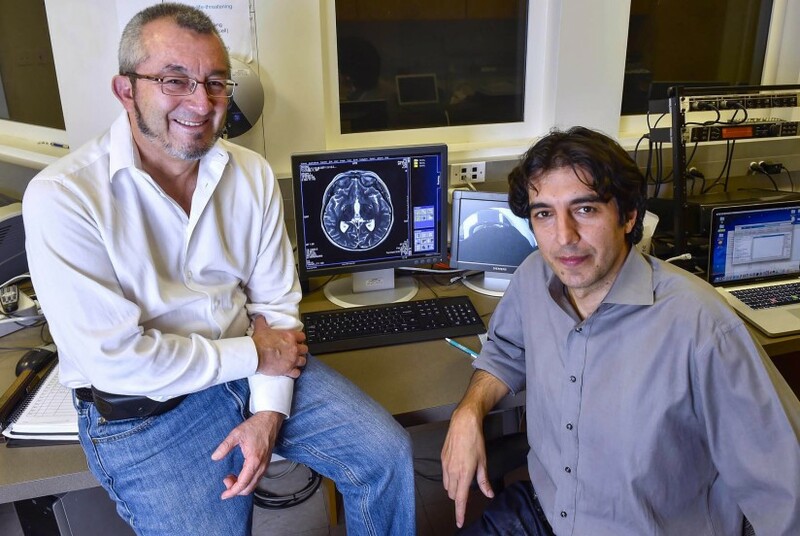 The study is being conducted in collaboration with Howard Hodis and Hooman Allayee at the Keck School of Medicine, Mara Mather and Elizabeth Zelinski of USC Davis and Paul Thompson from the Laboratory of Neuro Imaging. The resulting data should provide years of new insights for Longo and Guevara-Aguirre. The researchers also took turns guiding the visitors to the sights and hotspots of Los Angeles, and then held a banquet with them. “We wanted to make sure they had fun,” said Guevara-Aguirre, who has been working with his group for 27 years, the last decade of which has been in collaboration with Longo. “The work of the best quality has been done with Valter,” Guevara-Aguirre said. Other researchers involved in the study were Priya Balasubramanian, Kaoru Nashiro, Meredith Braskie and Rico Velasco.